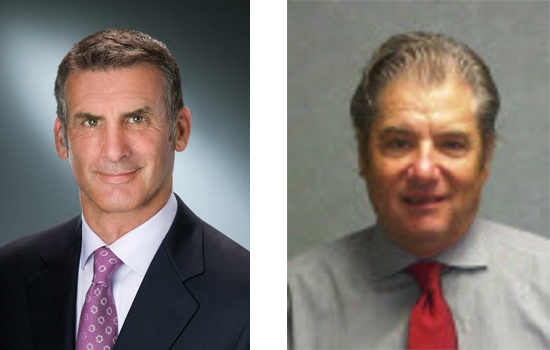 Rochester Institute of Technology has appointed two new members to its Board of Trustees. The new trustees, each of whom are business leaders from diverse industries, were announced during the RIT board meeting held on May 5. Helping to move the university forward on its strategic vision are Robert W. August and Ronald S. Ricotta. August, an alumnus of Syracuse University, is an experienced executive in the car care industry and currently serves as managing partner of Laser Wash Group LLC. The company was founded in 2003 and consists of 12 touch-free car washes throughout Upstate New York and Pennsylvania. Prior to launching Laser Wash, August held a variety of leadership roles at Monro Muffler Brake. August has served numerous nonprofit organizations in the Rochester community and currently is trustee of the Charles J. & Burton S. August Family Foundation, the Hillside Children’s Foundation, and vice chairperson of the board of trustees of Hope Hall. He lives in Rochester with his wife and two children. Ricotta, a 1979 accounting graduate from RIT who served on the President’s Roundtable, is president, CEO and co-owner of Century Mold Co. Inc., a Rochester-based injection molding supplier that designs, engineers and manufactures products primarily for the automotive industry. He and his business partner, Michael Nuccitelli, co-own a second company, Parlec Inc. Both businesses were listed in the 2015 Rochester Top 100 and employ more than 1,000 people with combined annual sales of $185 million. Ricotta is also a CPA and served as a partner at the former Bonadio, Insero & Co.
Ricotta is a member of the Monroe Community College Board of Trustees and has received several honors including RIT’s Herbert W. Vanden Brul Entrepreneurial Award in 2014 and the Rochester Business Hall of Fame in 2015. He lives in Pittsford with his wife, Kelly, and has two sons: Matthew, a 2003 RIT graduate, and Jeffrey, a Boston University alumnus. The RIT Board of Trustees consists of 47 active trustees and 35 trustees of emeritus or honorary status.